What appears to be a external antenna port is definitely not. I heard of one report where using an external antenna fried the phone. Verizon did replace the phone for this user. Port in red circle on back of unit. Here is the FAQ I found on the Samsung website (link). 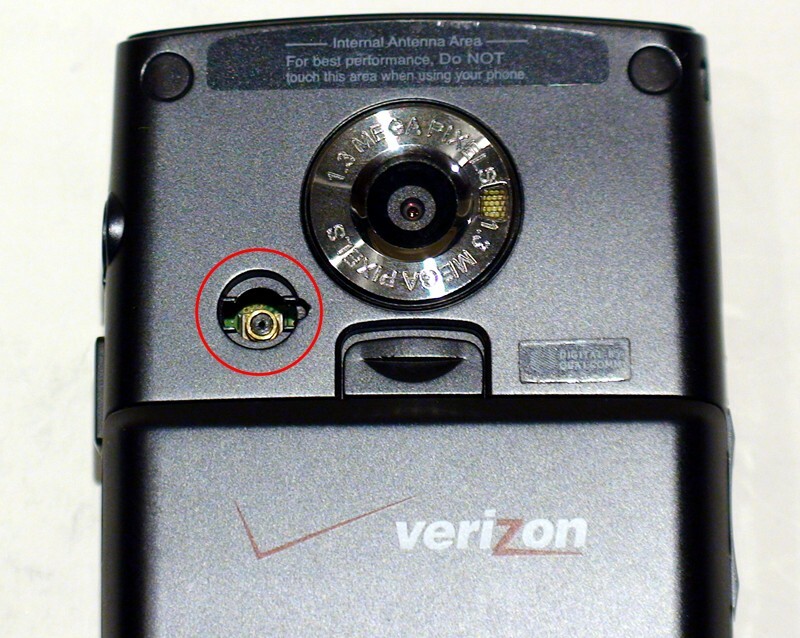 What Is The Purpose Of The Small Port Or Hole On The Back Of My Handset, Is It For An External Antenna? The small port on the back of the phone near the antenna is an RF port used specifically by authorized technicians only for testing purposes and has no other functionality. The port can be damaged by attempting to use it for any purpose other than by the repair facility, such as for an external antenna. Such damage will void the warranty on the phone and could result in repair fees in effect at the time of repair.